Alison Jacques Gallery is pleased to announce Migdalor a solo exhibition by Sheila Hicks at the recently opened Magasin III Jaffa, Tel Aviv. Migdalor, curated by Karmit Galili, features three significant recent installations by Hicks. The monumental Saffron Sentinel (2017) will occupy a large section of the exhibition space and be visible from both windowed façades day and night. 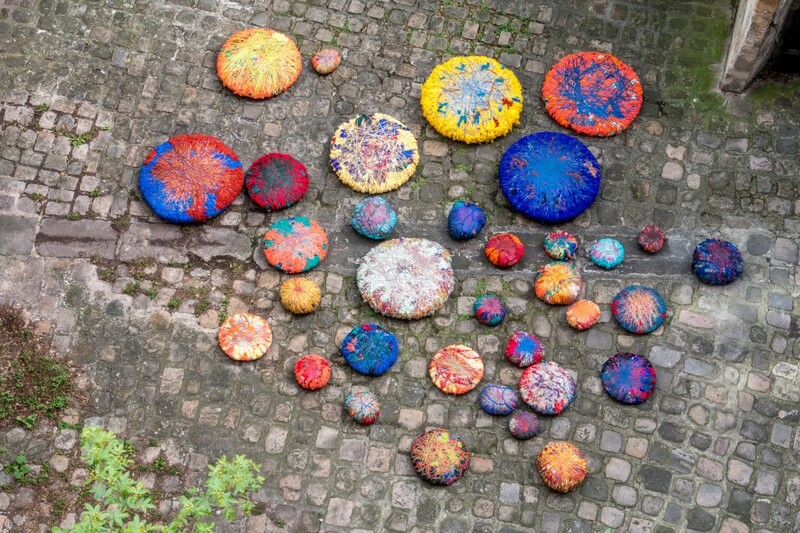 Also on view will be Hicks’ Comets (2016 – 2018), a bas-relief sculpture composed of circular sculptures in a range of vibrant colours, textures and shapes extended along one of the major walls. An earlier version of this work was shown at the Musée d’Art Moderne in Paris this year. The third installation in the exhibition, Menhir (2016), will hang from the gallery’s double-height ceiling. Hicks chose the exhibition title Migdalor (the Hebrew translation for 'Lighthouse') as a symbolic reference to forms that can be path finders.